Most of us have got a bit bigger since we last bounced around the garden clutching the horns of a grinning space hopper. Now you can bounce back to the 1970's with the Adult Sized Space Hopper. Bigger and tougher than the original and purpose designed for adults and teens alike, the Hopper can withstand the weight of a fully grown 'business executive' weighing up to 100kg or 15.7st ! 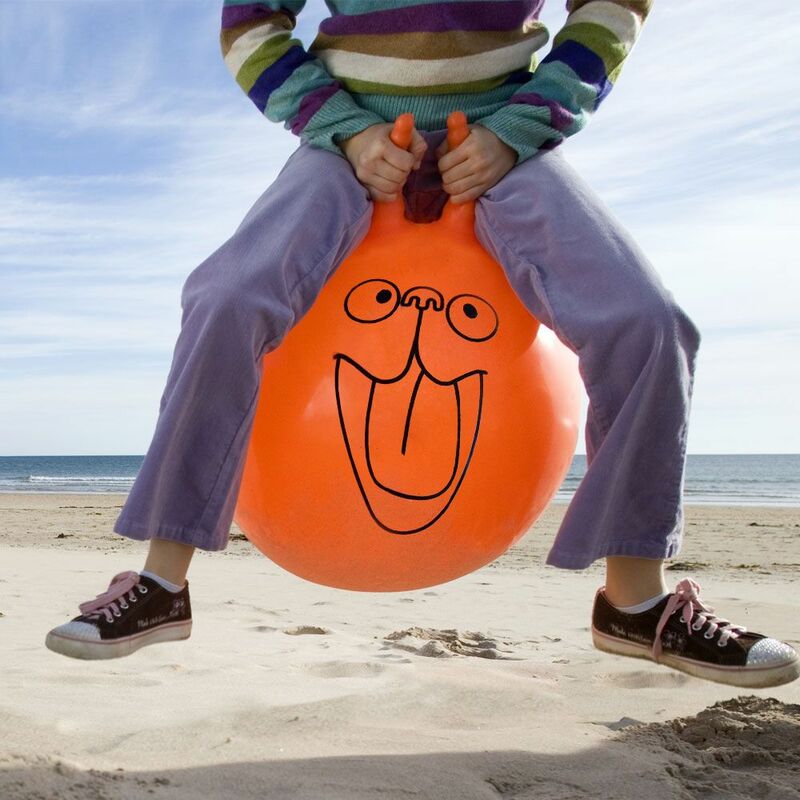 Available in Orange (just like the original), the Space Hopper comes with a fast inflating foot pump and is ideal for bouncing around the garden in the summer - would make an unusual fun seat indoors during the winter too! Whether it be for racing friends around the garden, home or office; using it as a fun seat or as a novel approach to exercise, the Adult Size Space Hopper is a quirky gift idea popular with adults of any age and all fans of the 1970's.